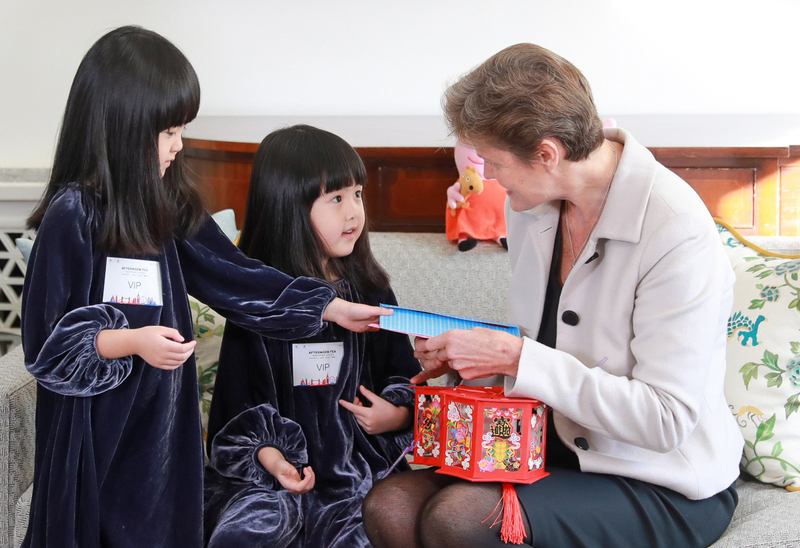 A pair of Chinese twins were invited to afternoon tea by the British Ambassador to China, Dame Barbra Woodward, at her Beijing residence on January 21, 2019. It all began when a video of the girls was posted online. 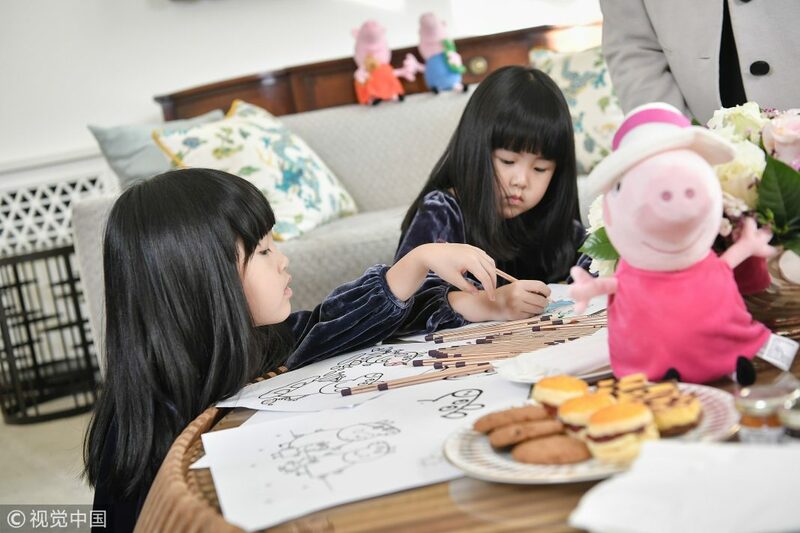 Mi Ni and Mi Ai said their New Year’s wish was to visit Buckingham Palace and meet the UK’s Queen Elizabeth herself, after watching an episode of the British cartoon “Peppa Pig”, in which Peppa and her friends did just that. 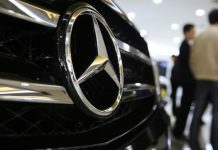 The video soon went viral on Chinese social media, catching the attention of Woodward, who posted her own video in response. She said she’d love to help make their dream come true, and so she did – sort of – with this event. 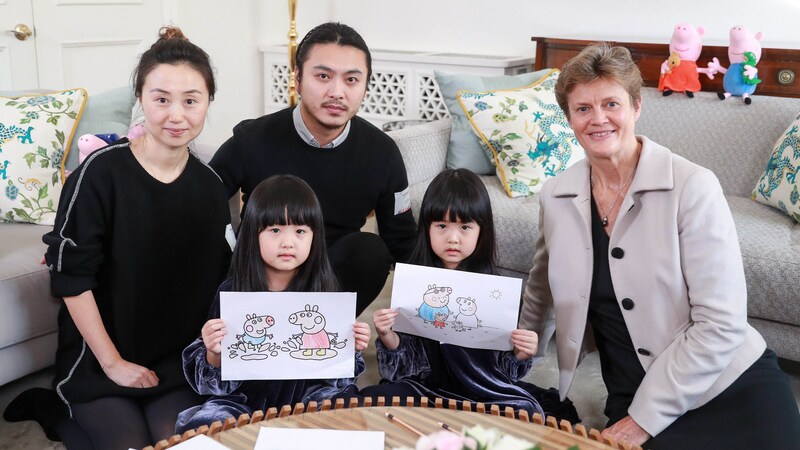 Besides for the tea, the British Ambassador, launched a project with a Chinese video platform on behalf of the embassy which aims to help the twins and many more kids who are interested in British culture travel to the UK and visit its famous landmarks. The embassy has promised the girls that they will be given an opportunity to visit Buckingham Palace and the Peppa Pig theme park, but it is not clear if Queen Elizabeth, or any of the other British royals, will meet them.